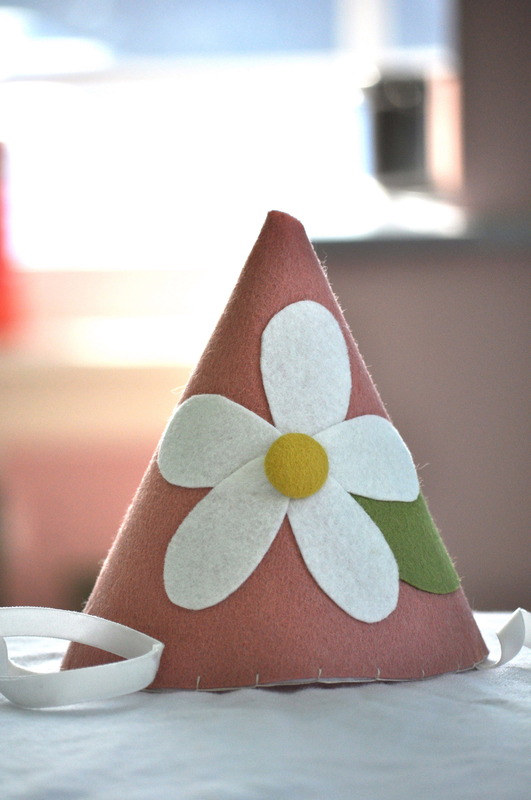 Well, more like a hat with ears… Natalie’s Godmother contacted me to ask if I would make a hat or crown with ears for Natalie’s first birthday. This last September we took our twin daughters to Disney World for their 3rd birthday and I fell in love with Mickey and friends all over again. So saying no to the challenge wasn’t something I even considered. 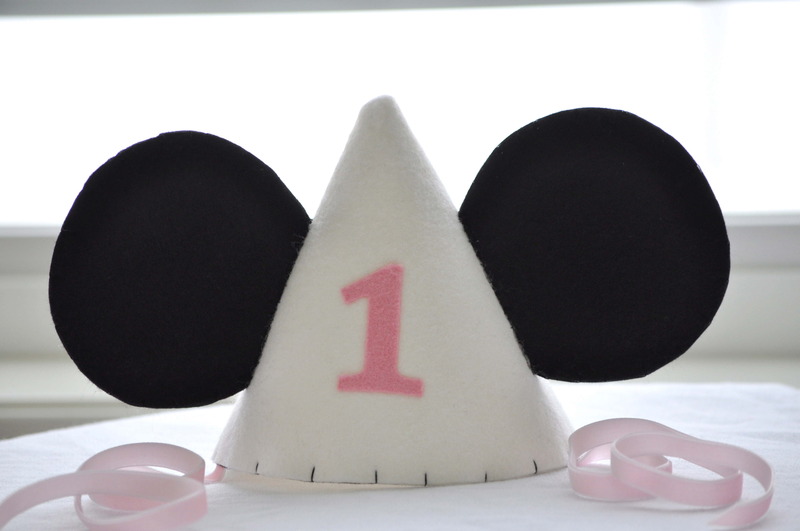 We decided on a hat, with ears and a big “1” on the front to celebrate Natalie’s’ big day! I was going to try it on one of my girls to see what it looked like, but quickly changed my mind when I thought about how on earth I was going to get them to give it back to me, I would have had to make 2 more just like it! Happy Birthday Natalie, I hope you have a special day little one! I adore Elmo, my girls have watched him every morning since they were tiny little tots. So when Cooper’s mama asked me to create an Elmo game I was so excited! 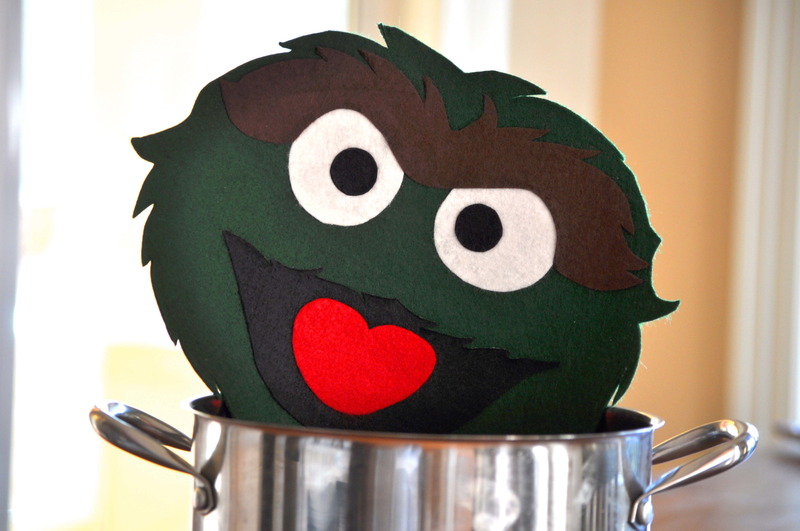 I made this darling Pin the Nose on Elmo game along with an Oscar the grouch face for paper toss game she created, especially for Cooper’s Sesame Street party. 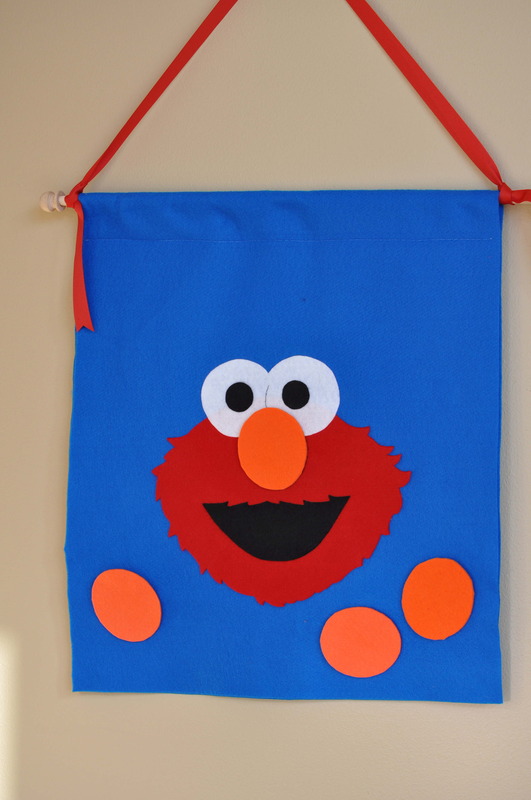 I have to admit Elmo looks kind of funny without his nose, but I think it turned out perfect. I know I can, I know I can, I know I can…were words that I mumbled to myself when I agreed to create this beauty for darling Everly’s big day. 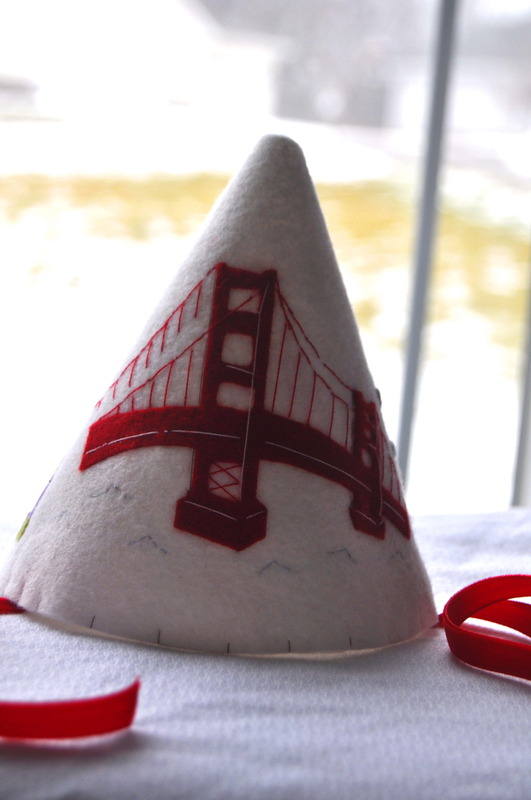 Melissa (her super cool mama) asked me to create a hat, gave me the colors they had selected for her party and free reign to create something “San Francisco”. And, although this is such a wonderful gift, at times it can be a little overwhelming to say the least…I decided on the Golden Gate Bridge and Lombard Street…two of the most recognizable…yet two of the most detailed…landmarks. I finished the hat and shipped it out , keeping my fingers crossed and trying my best to block out my inner saboteur until I heard her reaction. It was above and beyond what I would have ever expected. I read Melissa’s words, hearing her delight and enthusiasm with every exclamation mark! You can read more about Everly’s birthday party here ( and see the birthday girl herself) on her mama’s blog Dear Baby. Be sure to stay tuned because we are going to have a fun surprise coming up for all of Melissa’s readers! These hats are not currently sold in my shop, however, if you would like to contact me here…I would be happy to create something especially for you! 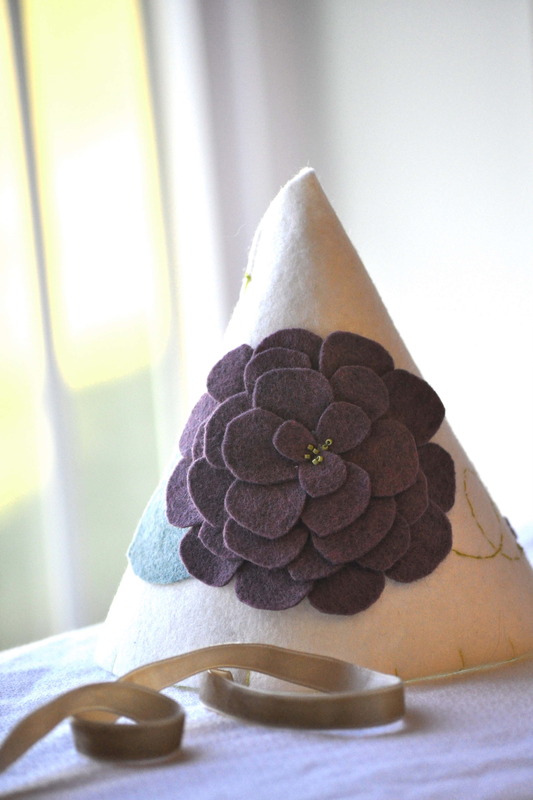 It probably isn’t much of a surprise to know that I love flowers, I love making them and adding them to my creations, I grow them in my garden, and I will buy a bouquet of flowers for myself…just because. I think I am wanting Spring to come, it is cold and wintry…the ground is white with snow. Thankfully my work allows me to make flowers and bright cheery things all day long! It is fun to watch orders evolve, the decision making process, the wheels turning, how one thing leads to another. 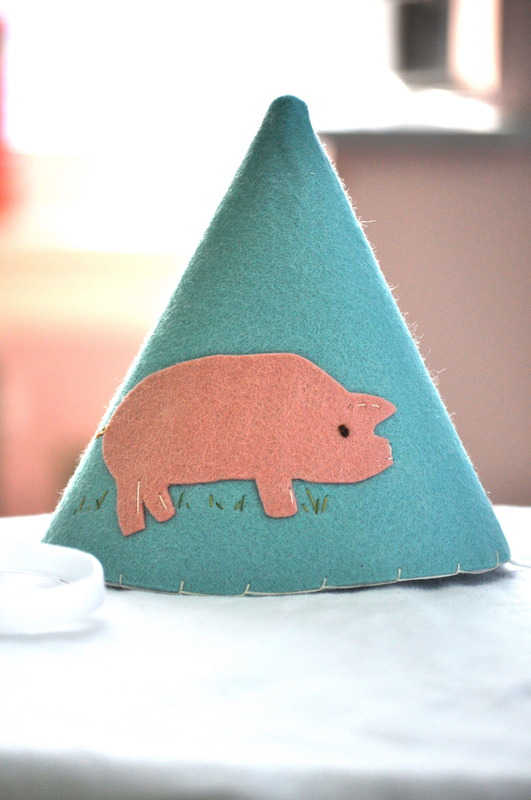 Initially Arden’s mommy asked me to make one of my pre-designed hats and matching bunting for her daughter’s birthday. When I asked if she was going to hang the bunting in Arden’s room after the party…the whole party design concept changed. 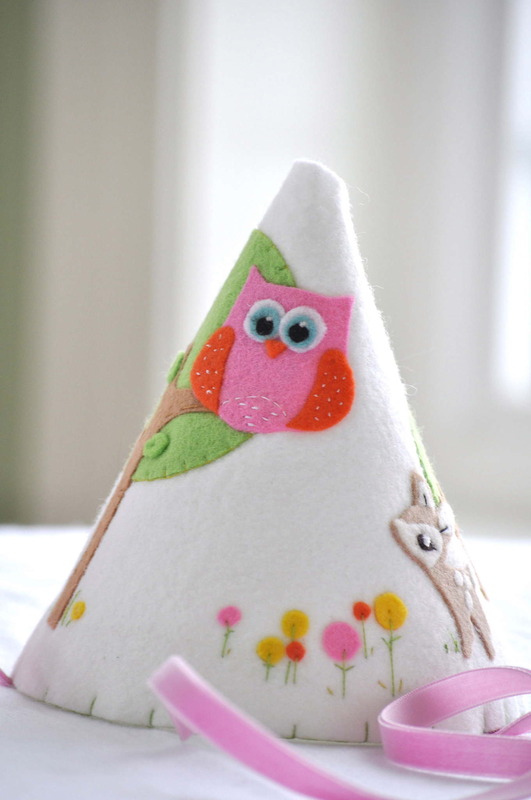 We created the hat and bunting based on the bedding that was just purchased for Arden’s room. I loved the design and the freedom to create something really special for her. 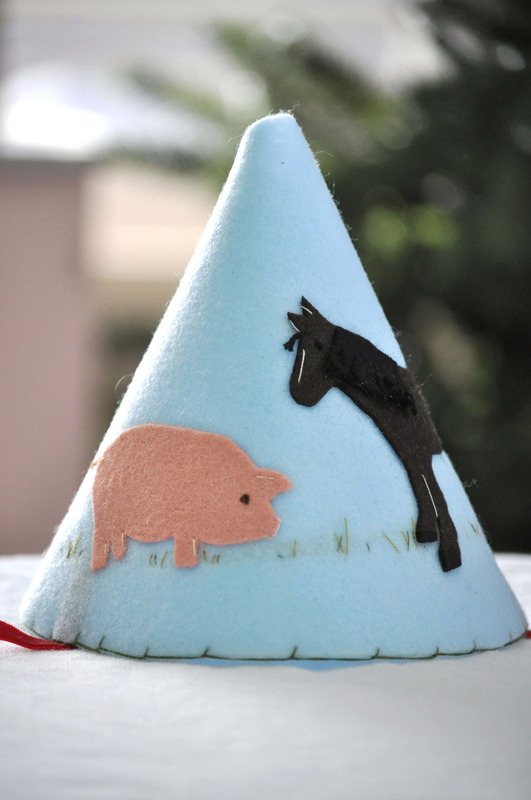 I have the hat pictured, but nothing of the bunting…maybe Arden’s mommy will send me a few of it hanging in her room so I can share it with you.